Bread on a Bike is a micro bakery based in Cambridge, run by Alison from her domestic kitchen just off Mill Road. 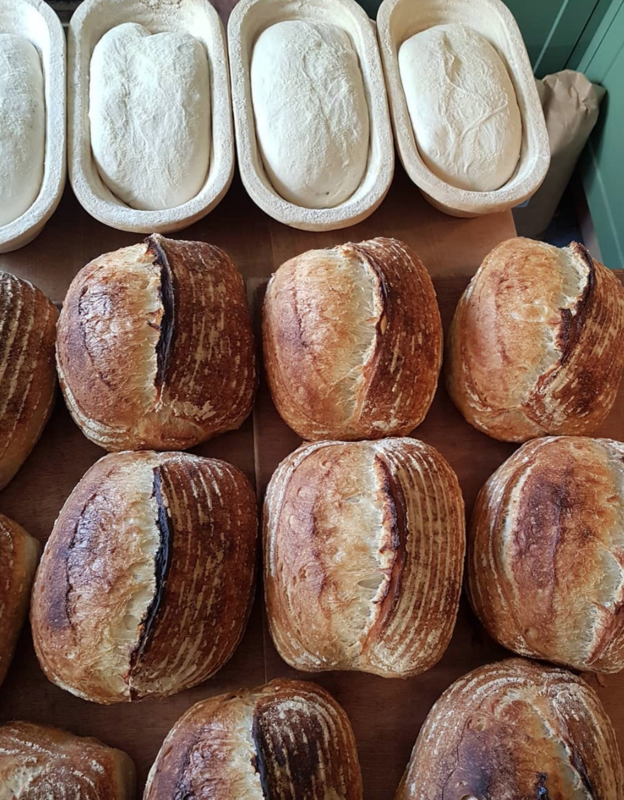 Fresh naturally leavened bread is baked to order and available for individual customers to collect on Thursdays and Fridays, while she bakes for commercial customers on other days. Contact the bakery to join the mailing list and you will receive an email each Monday with the range of breads available to order for that week. The selection changes weekly. Please note that bicycle deliveries are currently on hold while Alison works on developing the business. All loaves are sourdough and produced using natural wheat or rye leaven rather than added yeast and are slowly fermented for maximum flavour and nutrition. Unlike most commercial bread, Alison’s bread is made with only flour, water and sea salt (all other ingredients are stated) and without hidden additives such as added enzymes and improvers. The bread is made using local flour. All other ingredients are either organic or fair trade, and local wherever possible.